Over 50 years of musical memories. In compiling our history, trumpeter Laurine Green has gathered together many details and pictures of the previous bands. She has produced a compact history in a small book and also a more comprehensive work that details the life of Ely through the bands' eyes from 1852. If you have an interest in local history or had a family member who was associated with the Band our book may interest you. Laurine would also welcome any more information or old photographs relating to Ely Band, especially of the 1939 Band as many of the gentlemen in the pictures are still unnamed. Contact Laurine via the Musical Director. 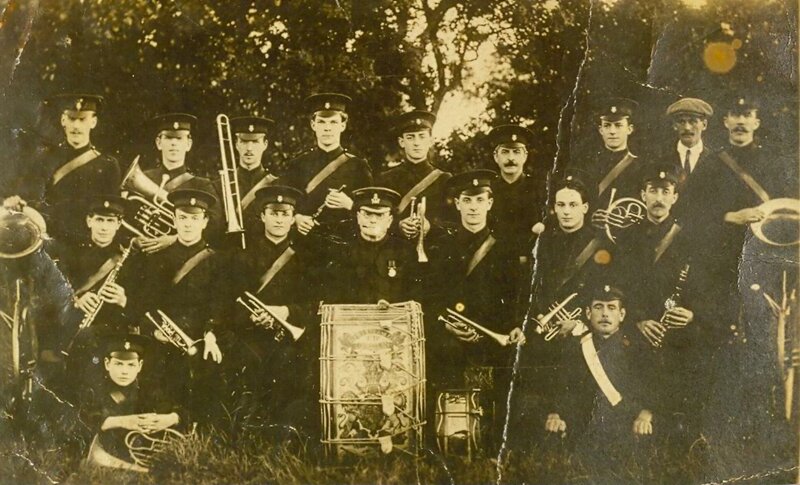 Ely City Band can be traced back to 1908. This is when the Ely Militia was disbanded by the government and the citizens of Ely purchased the old instruments with the intention of forming their own band. This picture shows the first Ely Band in their new uniforms. 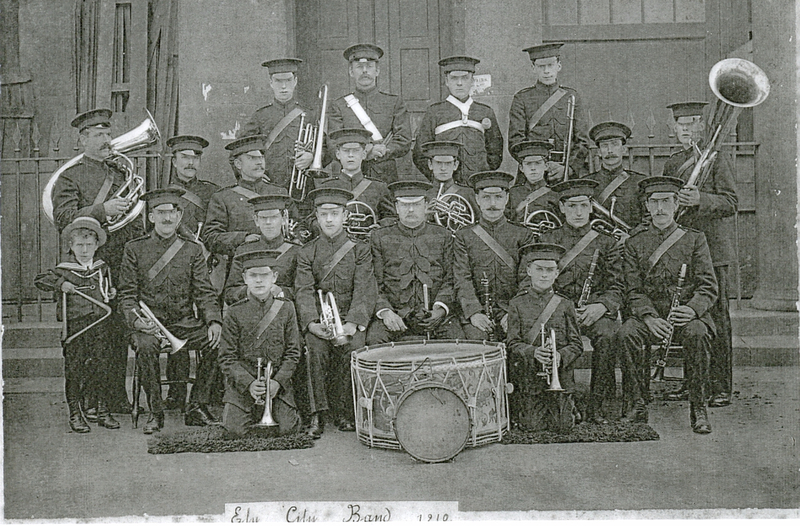 The Bandmaster is Mr J. J. Smith; the gentlemen sitting in the centre. He is behind the bass drum and side drum which were purchased from the Suffolk Regiment. The picture was taken in 1910 and the Band are seated outside the Corn Exchange, Market Street, Ely. This next picture was taken in 1914 and we are now able to name all the players in the picture. These can be found in our book. The Band gets new uniforms in 1921 and again poses outside the Corn Exchange before marching off to lead another parade. 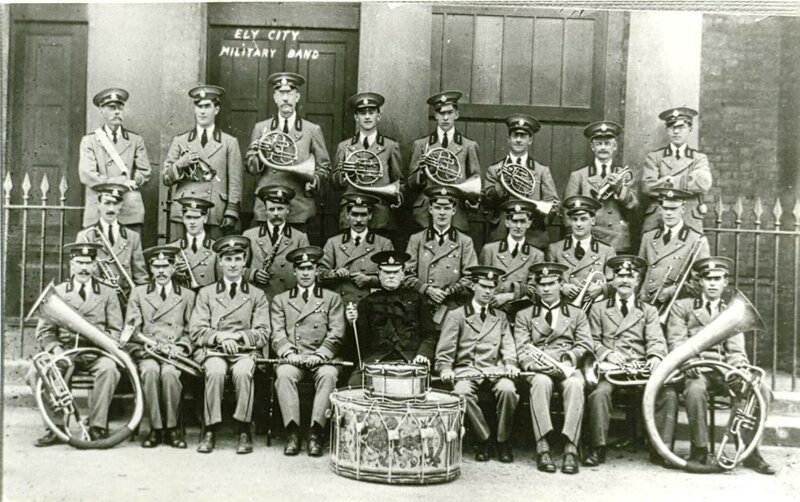 In 1938 the Ely British Legion come to the aid of a failing Ely Band. A new Bandmaster is appointed, Mr Rob Currie, and new uniforms are provided. 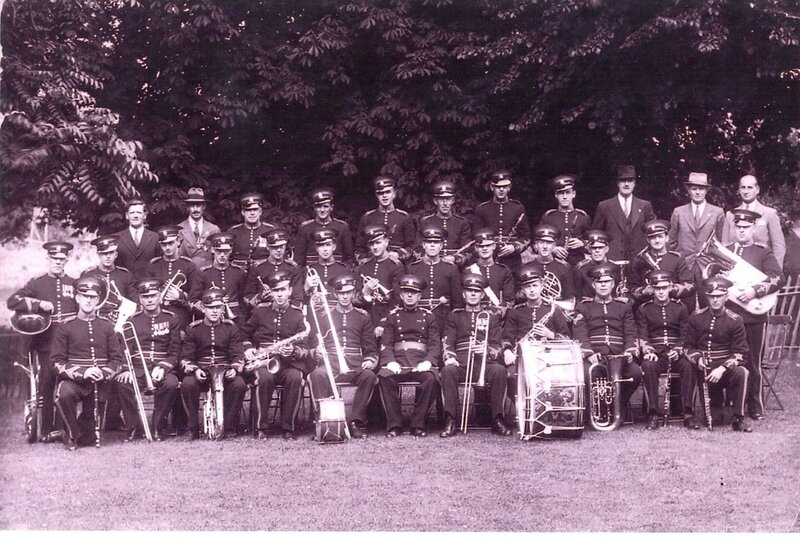 This picture was taken in 1939 and shows a strong Ely Band after giving a concert in Bury gardens. In 1940 twelve Bandsmen are on active service, so the band is put on hold until January 1946 when they start rehearsing again and advertise for new members. However in 1950 the British Legion reported with great regret that the Band was now defunct. A new band forms in 1962 under the leadership of Mr Eric Peters. A Bandmaster of the Royal Marines. 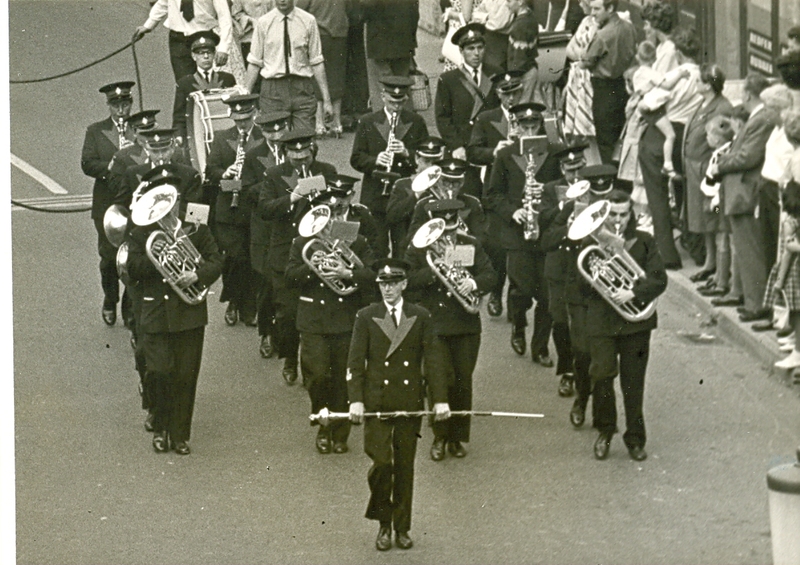 This picture shows the Band parading in Ely Hospital Sunday 1964 in their new blue uniforms. 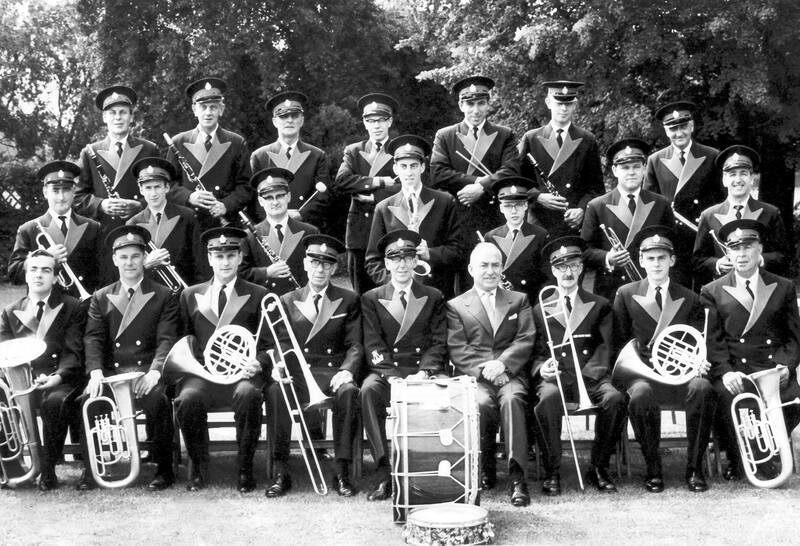 This posed photograph shows the 1964 Band in their new uniforms. On the front row you can see Mr Bill Cooper, an ex-Royal Marine Bandmaster and friend of Eric Peters, who has now taken on the role of Bandmaster. The Band goes from strength to strength and introduces an impressive drum corps and begins to give marching displays all over East Anglia. 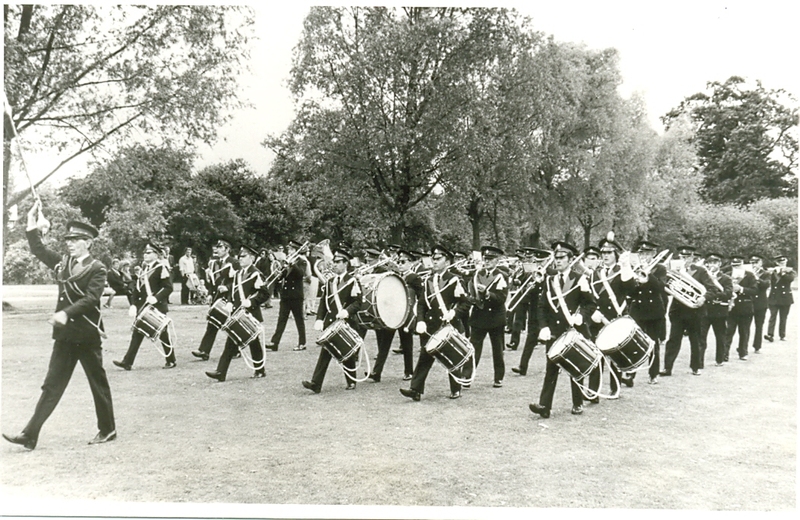 This picture shows the Band marching at Woburn Abbey in 1969. 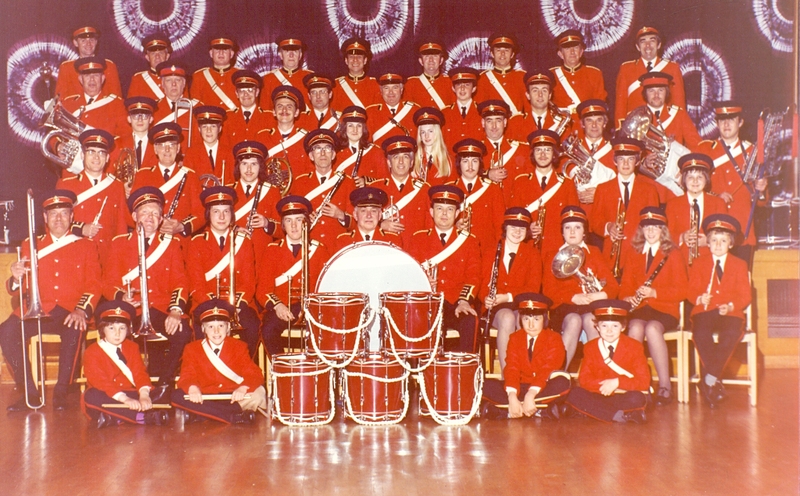 In 1975 the old blue uniforms are so well used that the Band invests in smart red uniforms which the Band proudly displays in occasions such as the London Lord Mayor's Show in 1977. 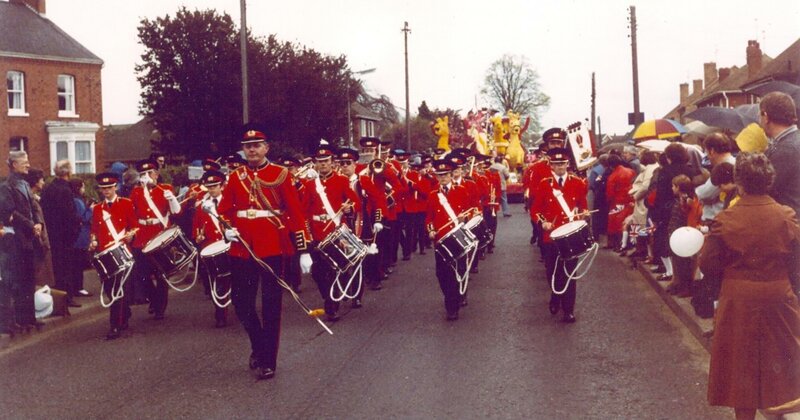 This is a picture of a typical engagement for the Band at this time; marching in Spalding Tulip Parade 1984. 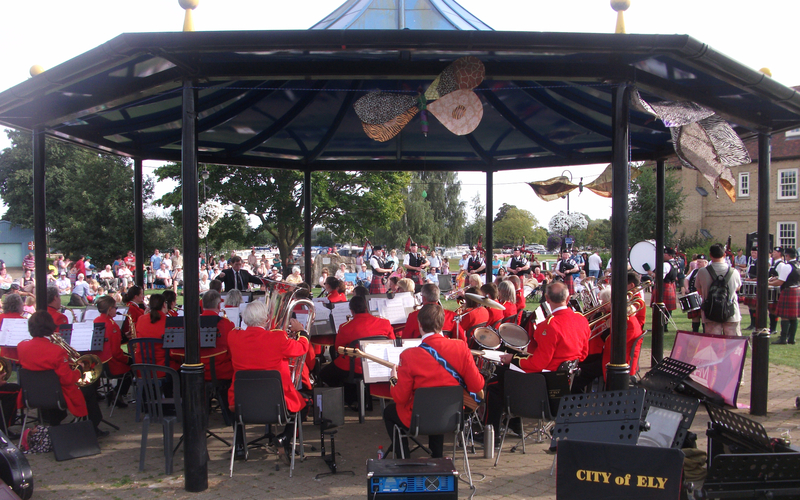 The Band carries on doing what it does best all through the 1990s and into the new millenium and in 2009 is awarded the Freedom of the City of Ely by Ely Council in recognition of four decades of service to the city. In 2012 the Band celebrated its Golden Anniversary. 50 years of musical memories. We undertook a series of different engagements to commemorate this achievement, such as performing in the Jubilee Gardens with the Glenmoriston Pipe Band. Today, the Band continues to perform across East Anglia with a strong membership. For more photographic memories of the Band, see our photographs gallery.